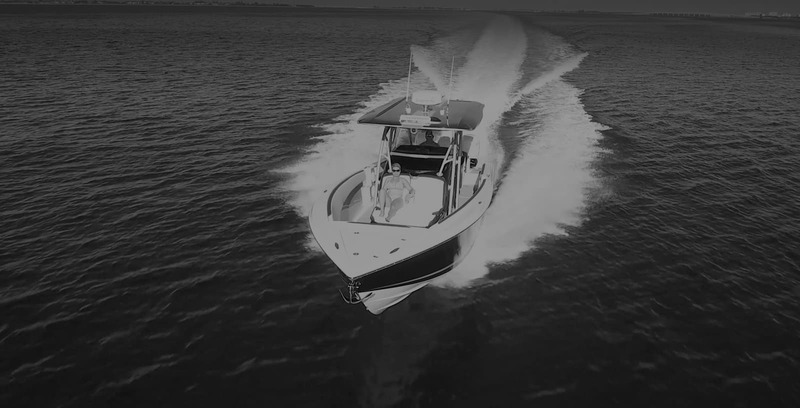 The spirit of adventure is alive and well with thoughts of fishing trips and weekender excursions in one of our luxury performance-based center consoles. Your sense of wonder will be exemplified with an excursion on one of our handcrafted day yachts that can reach triple-digit speeds. Live life on the water in full throttle with a fully equipped, luxurious center console that is the real catch of the day. Which of our bespoke platforms fits your lifestyle? Rough seas have nothing on the Nor-Tech 340 Sport. The 340 Sport is ready to up your game on the water. Double down in your poker runs. The Nor-Tech 390 Sport is all about speed, without leaving style, fish- and dive-ability, and luxury in the dust. Boating meets sport meets art with the Nor-Tech 450 Sport. The sleek, sweeping lines of this machine are just the start of watching heads turn. When they were first running around boatyards in Norway as youngsters in the 1970s, Trond Schou and Nils Johnsen weren’t thinking about their legacy. They were thinking about – and obsessed with – sports cars and boats. That still holds true today. Just on a much grander scale.